Last weekend, I went to a Fulbright conference in Ufa organized by my colleague and friend Cathy. It was a fantabulous time, about which more later, but it was also great to see another part of Russia, and to be surprised yet again. 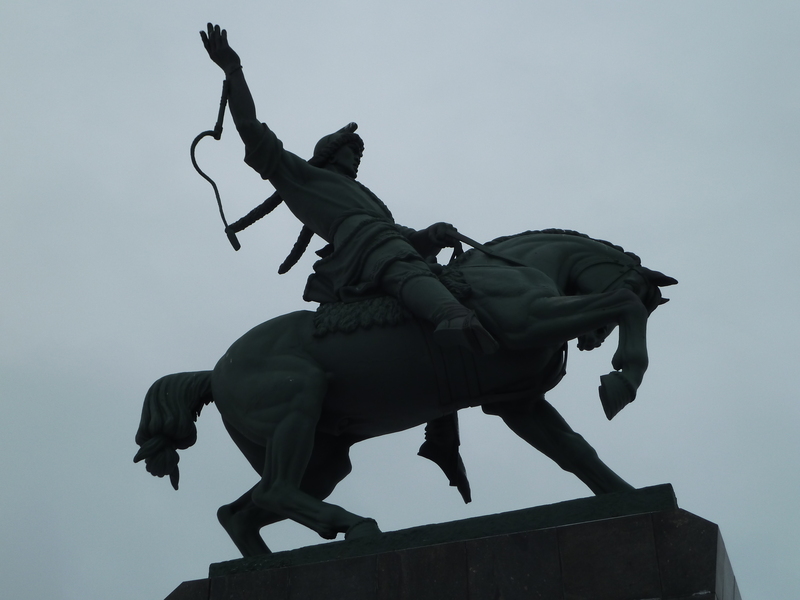 Salavat Yulyayev, the hero of Bashkortostan. 2. It has a population of 1 million people. I arrived on a flight from Moscow with two other Fulbright friends, Randi and Rikki, who stayed in the same host family with me. 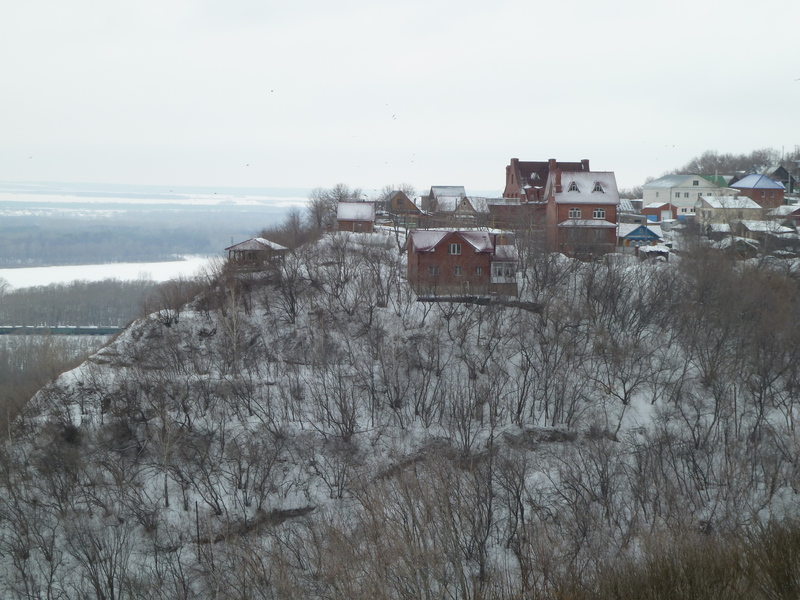 We were picked up from the airport in Ufa by a guy named Ramil, from the American Corner, and driven past folding hills and beautiful, new houses with roofs in bright green and red and blue. There was sun and deciduous trees and highways with guardrails. I know I have a tendency to compare cities to Pittsburgh (see: Bilbao, Arkhangelsk), but I do think Ufa is analogous to Pittsburgh in the way it compares to the capitals. If St. Petersburg is Los Angeles, the city of glamour and beauty that tourists flock to; and Moscow is New York, the monstrous, magnificent metropolis; then Ufa is Pittsburgh, the midsize, unassuming, clean city that’s definitely a city but also livable, with room to breathe. But there the similarity ends. We only got to see Ufa for three days (and one of those days was spent in a “Base of Active Rest” outside the city), but the Ufa that we saw was a smorgasbord of awesome. Our experience would have been impossible as tourists, or even as a single Fulbrighter visiting Cathy. Our concentration of American-ness gained us access to the very coolest bits of Ufa. We got a whirlwind tour of the National Museum of Bashkortostan with a guide who treated us like five-year-olds, in the best way possible, and learned that Bashkortostan is famous for its honey. We met the man who wrote the Bashkir national anthem and he played it for us on the piano. We went to a bar called Pab Bob’s and located on Karl Marx Street. We got a private performance by students at the Rudolf Nureyev Choreographic School. We spent a night at a cabin in the countryside singing, drinking, speaking Russklish, visiting the banya, roasting marshmallows, and taking leisurely walks to the river. Back in Ufa, we watched a play in Bashkir, with Russian translations piped to us by headphones. We tried a drink of fermented horse milk. We made friends and haggled over taxi fares. It was all over far too soon. For more pictures, check out my album on facebook.